(1) Heat a large saucepan over medium heat. Add the oil and East African Spice Blend to the saucepan. When the spices begin to bubble and sizzle over the heat add the garlic and ginger, stirring until fragrant. 2) Add the onion. Sauté until translucent (about 5 min) then add the tomato and sauté for 2 more minutes. 3) Add the Coconut milk, water, and the lemon & mix thoroughly. Next add the cauliflower and red pepper. 4) Let simmer over medium heat until the cauliflower and red pepper are thoroughly cooked and the sauce has thickened. Add salt and pepper to taste. 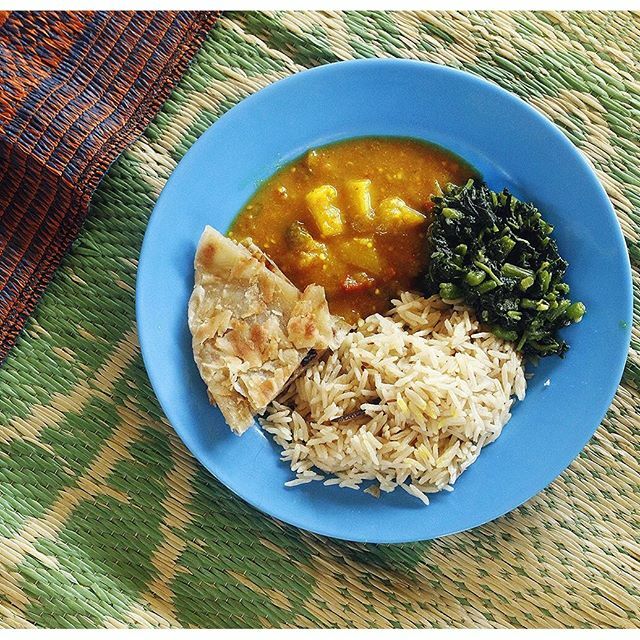 Serve with rice, chapatti, and cooked greens.